I love this design, but can I afford it? This is a question we hear over and over again. We at the Plan Collection provide two tools to help you answer that question. On each plan detail page you will see two buttons. The first is a very rough but free cost estimate. The other is the Cost-to-Build Report powered by StartBuild. Both are explained in further detail below. The Cost-to-Build Report from The Plan Collection and StartBuild The Plan Collection has partnered with StartBuild to provide you with a more accurate estimate of what it costs to build your dream home. Given StartBuild's many years in the industry, they understand the importance of accurate and up-to-date cost estimates. Quick and easy to use. In two business days, you will receive your personalized Cost-to-Build along with online access to your budget. More accurate estimate. you'll get a customized quote estimate based on the actual house plan, your location, your finish choices and even sweat equity contributions. Affordable. Only $29.95 per plan. * limit of one $29.95 credit per complete plan package order. cannot be combined with other offers. does not apply to study set purchases. If you are not quite ready for a Cost-to-Build Report, but would like to get a general idea as to the estimated building cost, our free cost estimate calculator uses national and regional per square foot home construction data released by the U.S. Census Bureau along with the heated square footage of a particular house plan. The estimated building costs shown for a plan are exactly that -- estimates. 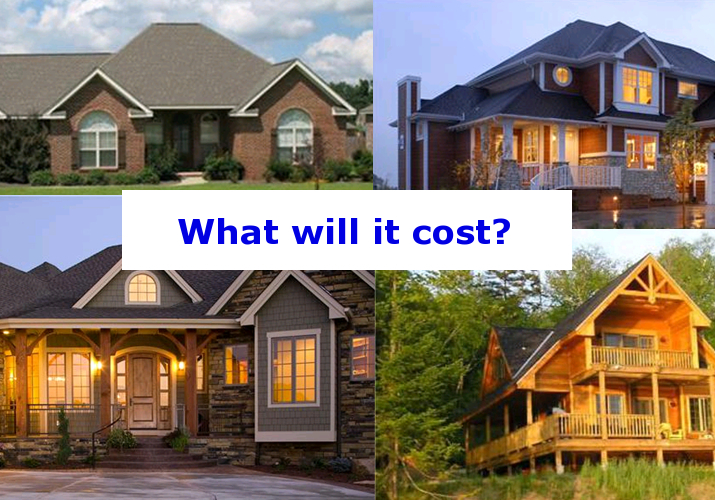 Actual costs can vary significantly from average and median cost estimates based upon the actual selection of materials and finishes made as well as specific local code and market conditions. These cost estimates exclude site development costs such as land cost, site clearing, excavation, porches, decks, patios, basement/crawlspace costs, and other site-related costs. These estimates are based upon the living (heated) square footage of the plan only and do not account for construction costs related to garages, bonus rooms, porches, patios, or basement/crawlspace foundations.